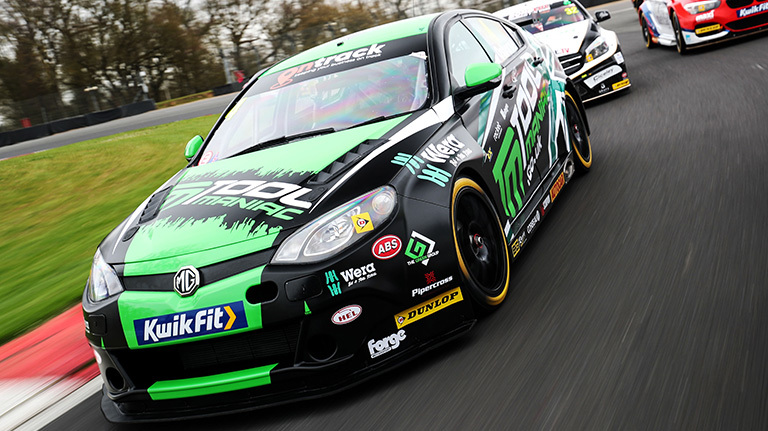 EXCELR8 Motorsport will open a new chapter in its history at Brands Hatch this weekend when the team makes its debut in the Kwik Fit British Touring Car Championship with two heavily reworked MG6 GTs. Alongside the new series and new cars, EXCELR8 will also field two drivers fresh to the BTCC: Rob Smith and Sam Osborne. Smith, 26, graduates to the pinnacle of British saloon car racing having been a multiple race winner in the MINI CHALLENGE JCW Championship during recent years, while Osborne, also 26, brings racing experience from the Renault Clio Cup. While the MG6 GTs are well known to the grid, both cars have undergone significant work over the winter as the team looks to hit the ground running. Each car has had a nut-and-bolt rebuild and chassis refurbishment, before being fitted with revised cooling systems for the 2-litre Swindon engine and a new exhaust system. All of the work has been conducted using the expertise of team technical partners Forge Motorsport and Scorpion Exhausts. 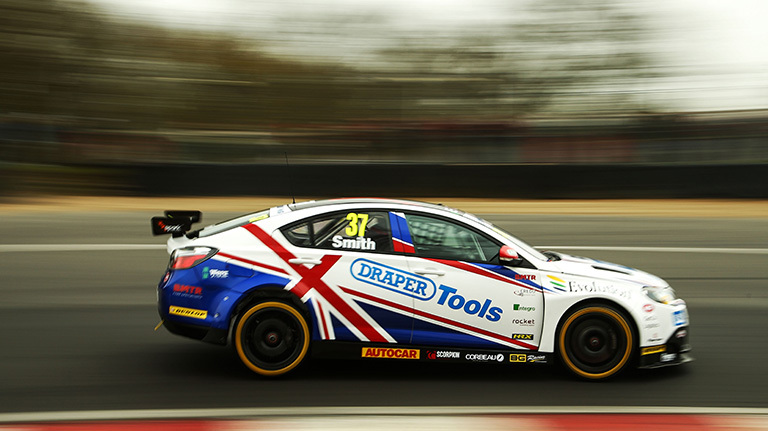 The improvements have undergone four days of testing, and the cars’ new colours were revealed at the official BTCC test day at Brands Hatch last week, where the field gathered together for the first time. 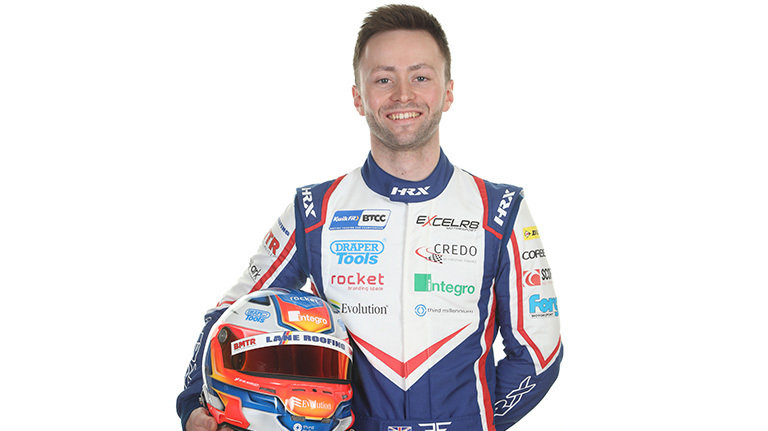 EXCELR8 has also added considerable strength to its technical staff, with the acquisition of long-time BTCC team boss Marvin Humphries, who will add his invaluable experience, having previously enjoyed successful stints with squads like WSR and Eurotech as well as his own Tech-Speed team. The three races around Brands Hatch’s 1.2-mile Indy Circuit are likely to be fraught but, despite being the fresh faces to the ultra-competitive BTCC field, both Smith and Osborne are confident of making a strong start to their touring car careers. 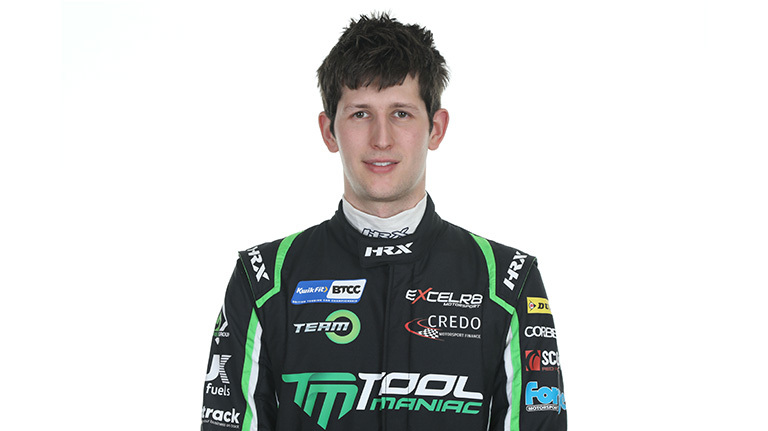 Smith says: “My BTCC debut has been 10 years in the making and it’s a mixture of huge excitement and some nerves too. “We’re already matching the qualifying pace for this car from last year despite having limited testing over the winter and limited time to get our heads around the cars, but I think we’re in good shape to make an impression. “We’ve learnt a lot already, but there’s a huge amount more to learn from an actual race weekend, with the tyres and the extra procedures and also the race craft of the BTCC. Osborne says: “Rob’s had a bit more running than me pre-season, so I’m feeling a little behind but I’m getting more comfortable with the car with every lap I do. It’s crazy to be racing against some of the legends of the BTCC who are still here. I never dreamt I’d be racing against some of these names, so I’m absolutely buzzing for the season to start at Brands Hatch. “I think the Clio has prepared me well for this. It would have been a big step without that experience and it gives you a good insight into what happens in the BTCC. But the MG is like a different planet in terms of driving experience. EXCELR8 team manager Oliver Shepherd adds: “All of the hard work over the winter gets paid off when you see the two MG6 GTs head out on track, and we’re hugely excited for the start of our first season in the BTCC. “The addition of Marvin Humphries to the team is huge. He has years of experience and will be a great asset to us. We’ve also hired some very knowledgeable engineers to further strengthen and balance the team between experienced hands and young engineers who have earned the opportunity to be here. Having started his racing career in Formula Ford 1600, Smith graduated into tin-tops with stints in both the Renault Clio Cup and MINI CHALLENGE. It was in MINI racing that he really excelled, scoring multiple race wins in the JCW class and finishing fourth overall in the 2018 championship. Osborne’s varied racing career has taken him from tin-tops to Radicals and eventually into the BTCC. He was a race winner during his first season in the MINI CHALLENGE Cooper Class in 2010 and went on to be a regular in the JCW Championship before moving on to the Renault Clio Cup for the last two seasons. Formed in 2007 by Antony and Justina Williams, EXCELR8 Motorsport has grown to become one of the leading names in single-make racing. Based on the Suffolk/Norfolk border, close to Snetterton Circuit, the team has become a driving force in the MINI CHALLENGE as well as branching out to field other brands such as Ginettas and Honda TCR machinery. This is the team’s first foray into the British Touring Car Championship.